In search of a delicious, easy and healthy snack? Try avocado toast with a cilantro lime cashew cream sauce! Rainbow salad, it just sounds delightful doesn’t it? Three ingredient vegan chocolate ice cream! Pureed soups are a great way to get a serving of veggies in easily and this red curry carrot soup recipe sounds amazing! Easy and elegant comfort food, no need to say anything more! Lime cheesecake parfaits that are GF, vegan, and very intriguing. A few cocktail recipes I’d like to try! This roasted red pepper pasta is a comfort food dream come true. Speaking of comfort food: cabbage, potato and white bean soup. Lentil tacos with tomato radish salsa. Never met a taco I didn’t love! Mmmm cilantro lime cashew cream sauce? Can’t even imagine! sounds like a delicious treat thanks for sharing! oh avocado toast is just my favorite! now i’m all hungry again and i’ve already had breakfast. will definitely need to try that rainbow salad! 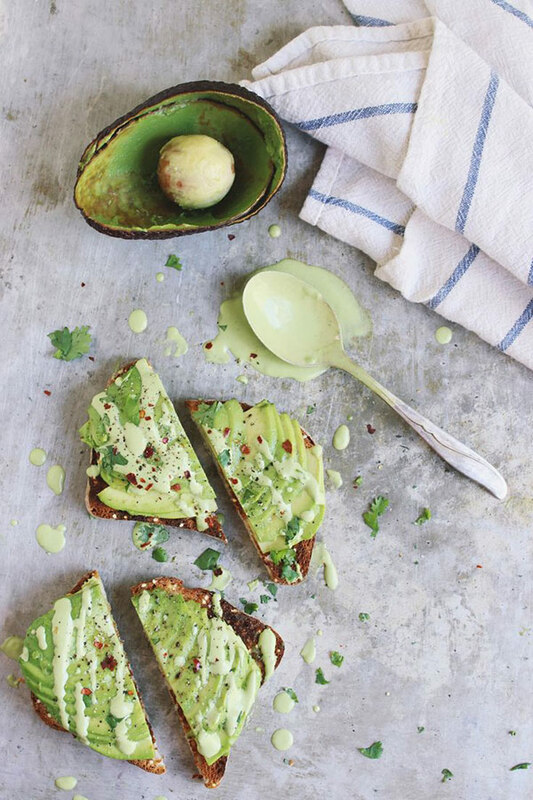 We can’t get enough of avocado toast in our nest…I will try with a punch of protein for a change. Happy Nesting. Happy New Year! I can’t wait to make this Avocado Toast and the Cilantro Lime Cashew Cream sauce. It looks and I am sure it is very delicious. Thanks for Sharing all these yummies! Love these all, especially the avocado toast! Wowza! That avocado toast with cilantro lime cashew sounds amazing. i’ve been looking to re-mix breakfast and I think this toast is a perfect new addition. LOVE your site, and it is a daily read. What a thrill to see one of our favorite taco recipes listed here. Thank you for the taco love shout out! Happy New Year!! Thanks for the link! Love your blog! the colors of the pastel green is so nice.